For 2016, TfL is running the Transported by Design project showcasing the link between transport and good design. Part of the celebrations will focus on the 100th Anniversary of the iconic Johnston font. In 1916 the work of the calligrapher Edward Johnston became synonymous with the unification of The Underground Group. Under the direction of Frank Pick, Johnston created a font that ran across the entire network of railways which had, up to that point, all used different signage and different typography. 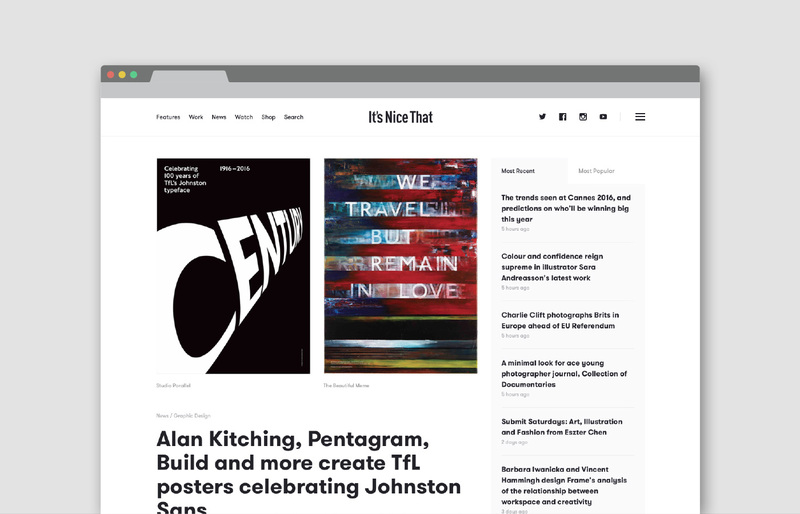 To celebrate the 100th Anniversary of this most iconic of typefaces, TfL announced a collaboration with eleven of the UK’s most exciting graphic and design agencies and we were proud to be chosen as one of them. 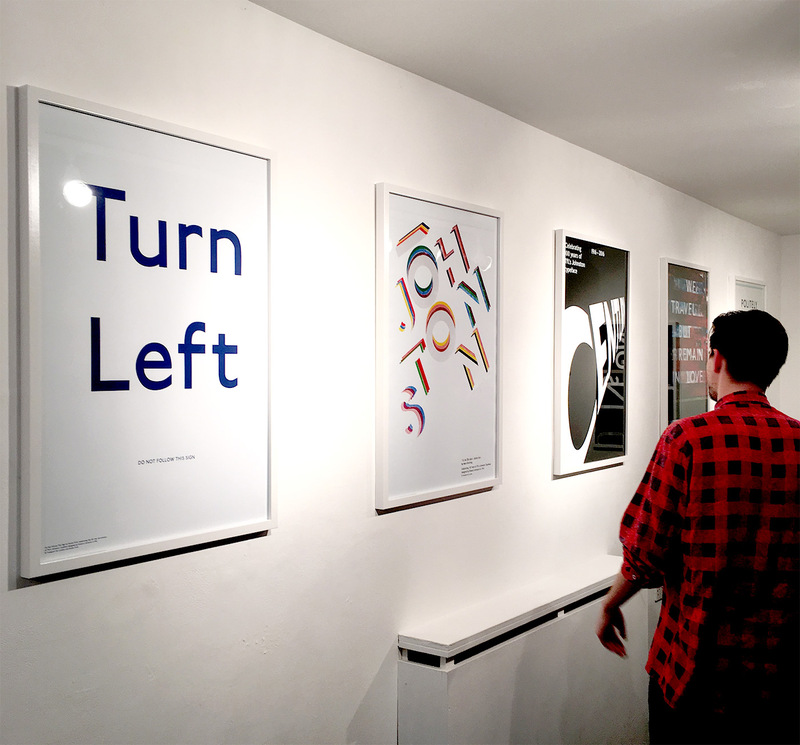 The brief was to create a poster to celebrate this milestone in British design history. 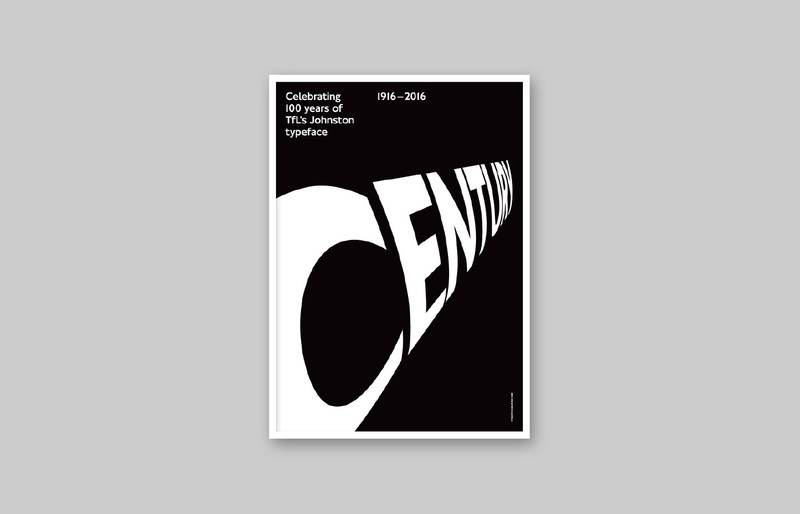 We designed ‘Century‘ which is inspired by Man Ray’s ‘Keeps London Going’ artwork created in 1938. 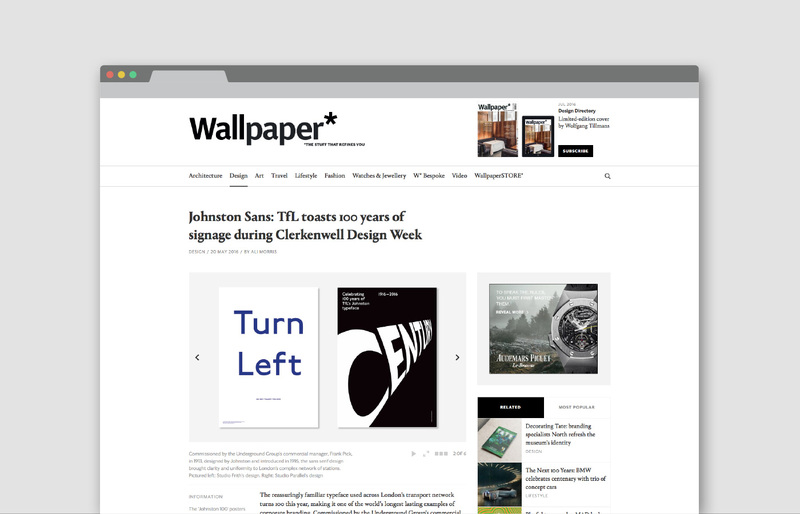 We have translated the Johnston typeface to create a design that reflects movement, shape and energy of the underground. 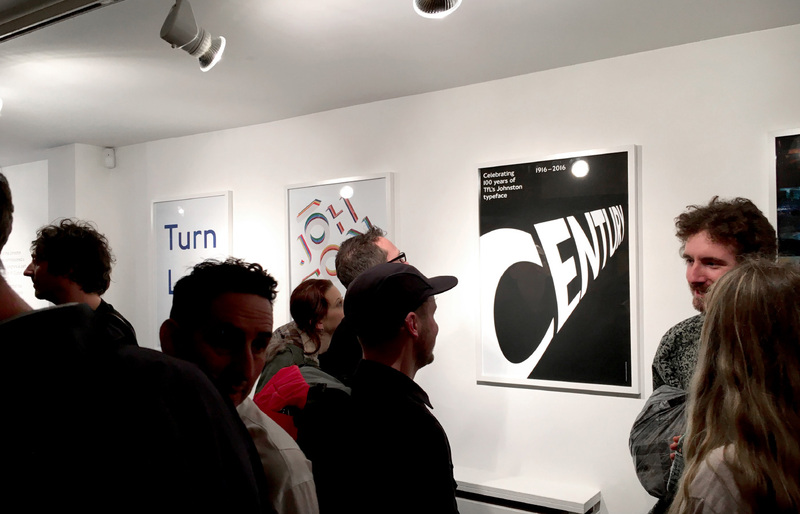 The posters were on show at an exhibition entitled “The language of London” held at KK Outlet alongside Clerkenwell Design Week. They are also available online at the TfL shop.